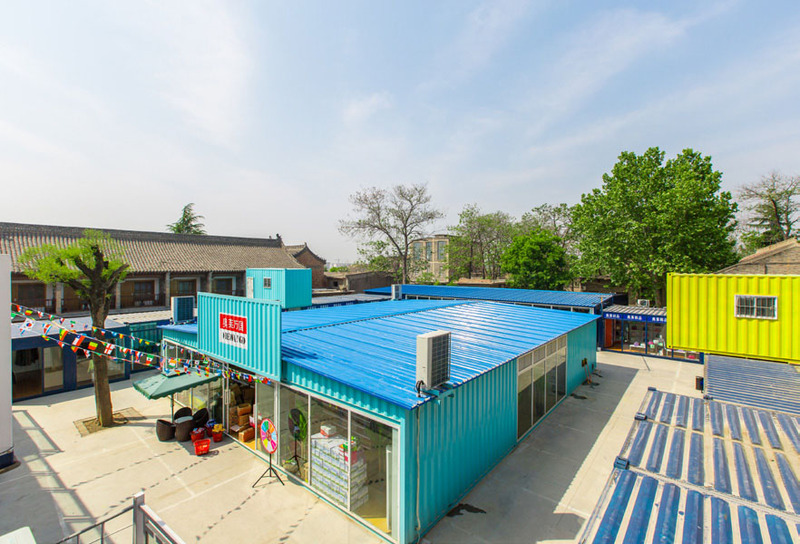 Yahgee’s creative designers use 52 containers to build a special commercial street for Yuan Village in the ancient capital of history and culture Xi 'an, which is to be as one of the important business cards of Shanxi rural tourism. 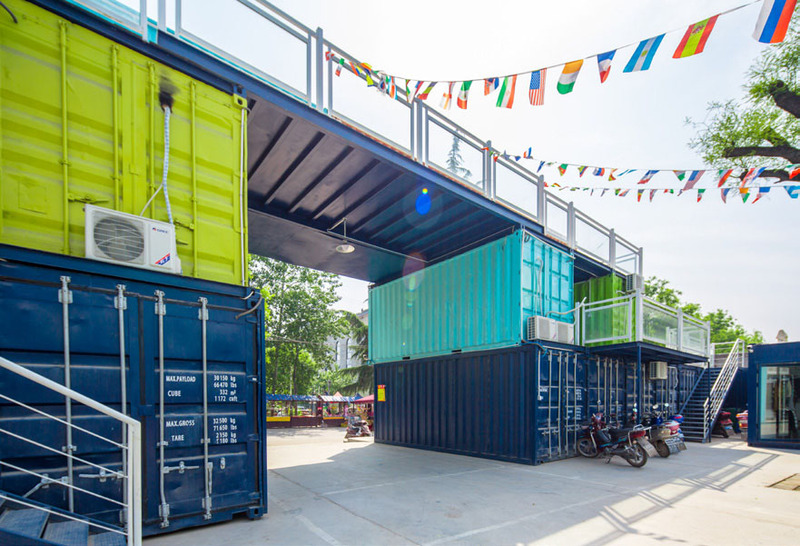 Such innovative commercial street, in the form of a kind of modern art, interprets the new business culture afresh. 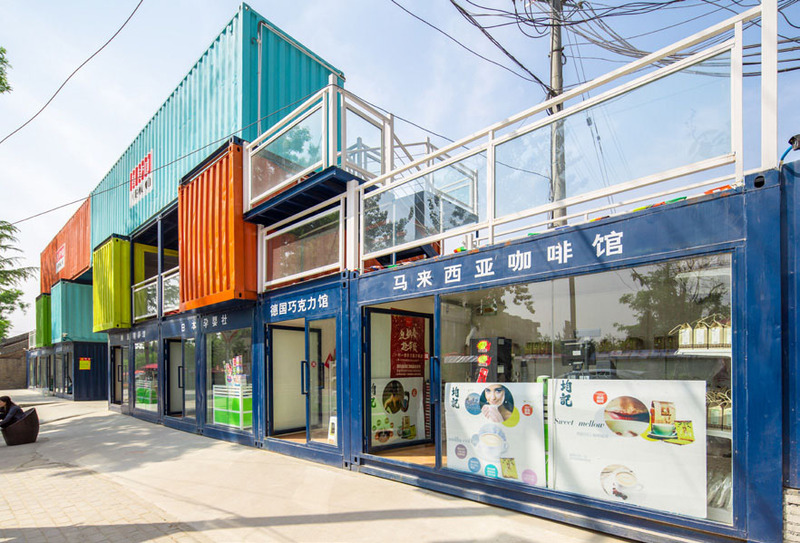 The project was named Xi'an Yuan Village Ole World Container Commercial Street, in which there are universal life Museums, such as Spanish, Japanese and South Korean life Museums, Japanese pregnancy and infant agency, Germany chocolate store, Southeast Asian food store and etc., to meet your diverse needs of eating, drinking and pleasure. 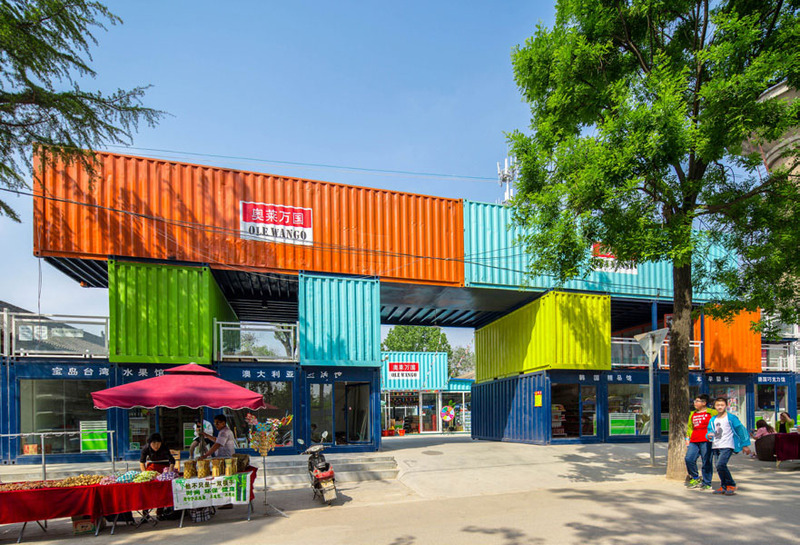 The commercial street is composed of 52 creative containers in different permutation and combination. 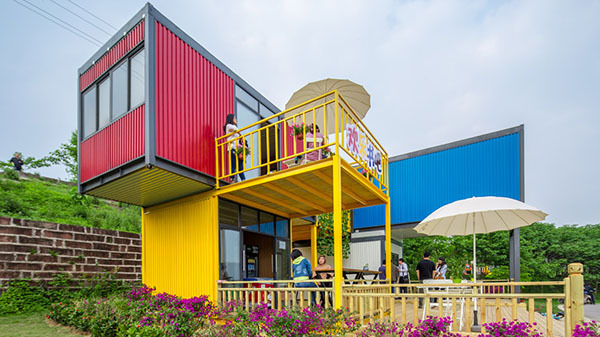 The appearance of the containers is painted into bright colors, such as orange, green, yellow, blue etc., which has incomparable superiority compared with that of the traditional buildings. 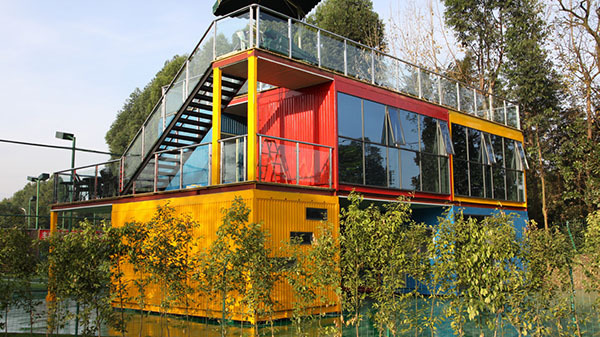 The novel architectural form adds more fresh elements and vitality for the scenic spots, making the scenic architectural style more diversified, to follow the trend of the times. 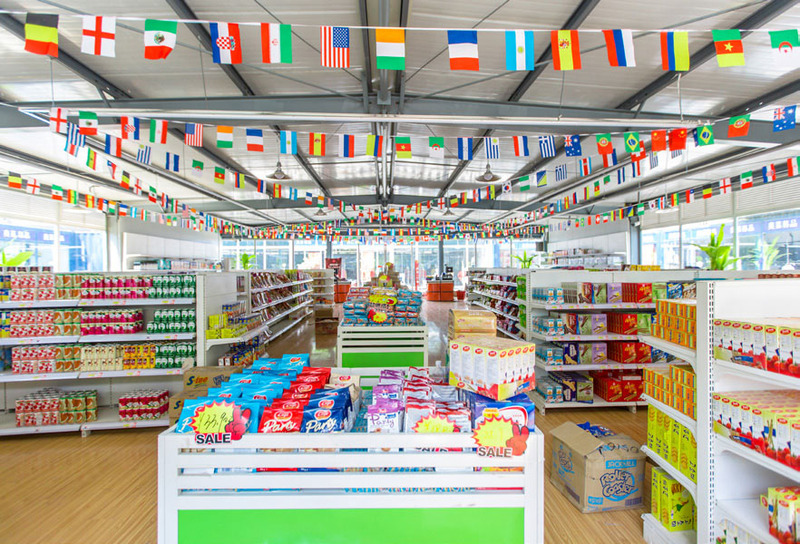 In order to keep the special wavy wall and wild sense of container, indoor walls keep intact, fully demonstrating the commercial elements in the post-industrial era, highlighting its individuality. 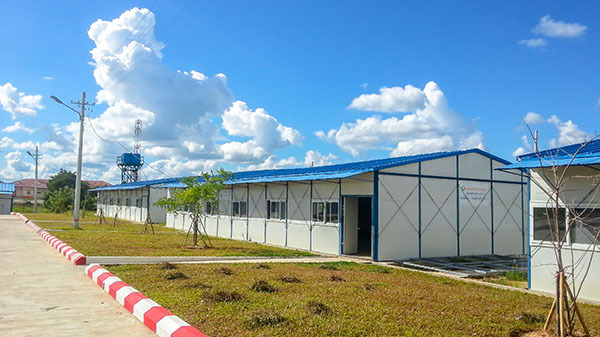 The strong industrial style of the buildings has become a unique scenery at the scenic spot.